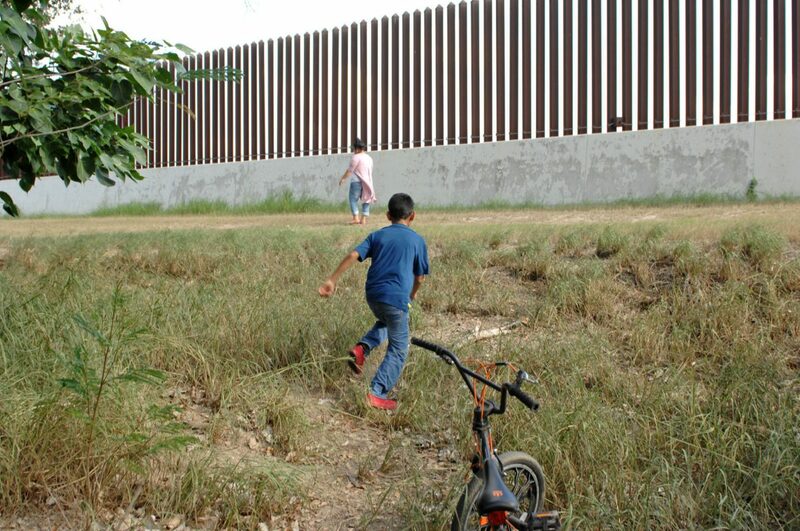 A boy runs up toward the U.S. border fence from his own backyard in San Benito along Old Military Highway 281 Friday, June 30, 2017. It is believed, Harlingen on Wednesday became the first city in the Rio Grande city to reject a resolution opposing a border wall in the area. HARLINGEN — By a split vote, the City Commission rejected a resolution opposing President Donald Trump’s push for a border wall. One group says the city becomes the first in the Rio Grande Valley to reject the resolution. Last night, City Commissioners Larry Leal, Michael Mezmar and Ruben de la Rosa voted against the resolution while Commissioners Tudor Uhlhorn and Richard Uribe supported it. In the Valley, Cameron and Hidalgo counties and 15 cities have supported similar resolutions, Joyce Hamilton, whose group presented the resolution to the commission, said after the meeting. “We’re not joining a total wall ban,” Leal said before casting his vote. Mezmar told group members they had presented their resolution to the wrong governing body. Before the vote, Hamilton told commissioners the proposed border wall would threaten to destroy habitat of species such as the endangered ocelot. “It’s extremely important to us that Santa Ana and all the national refuges be protected,” Hamilton, a retired college instructor, said. Jodi Goodwin told commissioners their support of the resolution would help show solidarity among Valley leaders. Some group members appeared surprised the commission opposed the resolution. Earlier this week, Mayor Chris Boswell said he supported the resolution. Boswell, noting the city sponsors the Rio Grande Valley Birding Festival, said he believed commissioners also opposed the border wall’s potential encroachment on native habitat.